October has been a big month for Oceans Reefs & Aquariums, as they’ve officially released two long awaited fish for hobbyists to finally enjoy. Besides the Gold Nugget Maroon Clownfish starting to be circulated, which took more than a year to reach the market, ORA is also making their Randall’s Assessors available to fish retailers around the world. Announced in December 2012, the ORA Randall’s Assessor was first acquired from Blue Harbor in Japan. 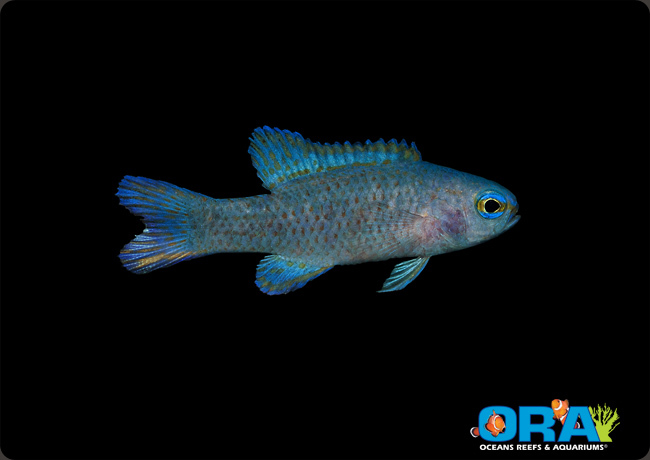 Given their rarity in the states, ORA immediately placed these fish into their breeding program, experiencing a great deal of success along the way. With the conquest of breeding the Randall’s Assessor, ORA has officially bred all known species of the Assessor genus. That’s quite a success, especially given the Randall Assessor’s limited availability for such a long time. We can’t wait to see how well they fill out the tanks of US hobbyists, and we’re definitely excited by this news. Just don’t expect the price to be as low as other assessors. Chances are this fish will tip the scales well over $100, though we don’t have a firm price as of yet. In captivity, the Randall’s Assessor will exhibit the same sort of vertical and upside down swimming behavior that it’s yellow and blue cousins exhibit. It has long been believed that captive bred assessors won’t do this in captivity, but rest assured, they most certainly will.